You can’t open Facebook these days without seeing a profile picture superimposed with a French flag. A year ago, profile pictures had multicolored hues in support of equal marriage rights or gay marriage. At various times of year, social media profiles sport pink for breast cancer, mustaches for prostate cancer, or various other regular designs to demonstrate solidarity or sympathy with this or that cause. Invariably, there are columns that comment or complain about a particular practice, the uncritical and uncomplicated adoption of potentially fraught symbols, and the deleterious effects of “slacktivism.” Most worry that a changed profile picture will substitute for political or social action and superficial expressions of sympathy, solidarity, or awareness will replace genuine engagement with issues. These concerns are so pervasive that they constitute part of the discourse of representation on social media and are in no ways less hackneyed or superficial than the practice that they critique. Personal branding on social media is no less complicated than personal branding in any medium and criticizing its simplicity is, in itself, a failure to understand the complications associated with branding and interpretation of branding across various media in our image rich society. My November mustache might be ironic, it might show I’m participating in “Movember,” or it might be that I genuinely like how I look with a mustached lip. Or it might be all these things. Most of us recognize the ambiguities present in these simple personal branding exercises (and even relish the potential for an un-ironic mustache!) and even appreciate the earnestness of people’s efforts to celebrate a cause, negotiate the political landscape, or just to show preference for one brand over another. When it comes to branding a larger enterprise, we are less tolerant of this kind of ambiguity. I’m waist deep in type-setting a new book from The Digital Press at the University of North Dakota right and beginning to think a bit about cover designs. I’ve been fortunate that my collaborators on this project have offered images and designs for the cover and these designs are all visually arresting. The book is titled The Bakken Goes Boom and it should appear early next year, but the cover design project represents another chapter in the larger Branding the Bakken project. 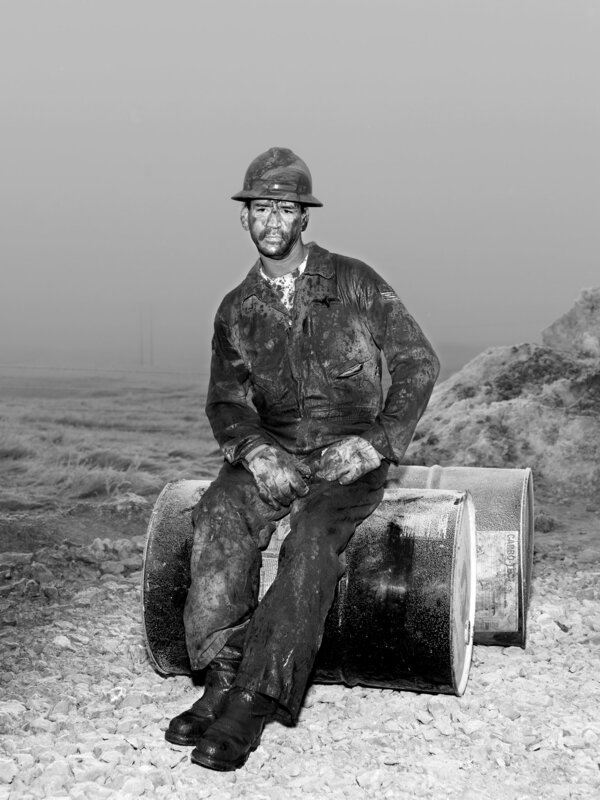 From Alec Soth’s black-and-white images of the oil smeared worker to Sarah Christianson’s The Skogens’ bedroom window, images have dominated our apprehension of the Bakken boom. It is hardly surprising that my own work documenting workforce housing in the Bakken has generated over ten thousand of photographs and videos. The image-driven nature of our engagement with the Bakken means that selecting the cover of the first book-length academic study of the Bakken boom takes on particular significance. Each cover represents a different aspect of the Boom and a different point of emphasis in the book (as well as a different style). My co-editor Kyle Conway created an arresting cover image that shows a drill rig situated near his families property in Williston. Comments and feedback are appreciated!